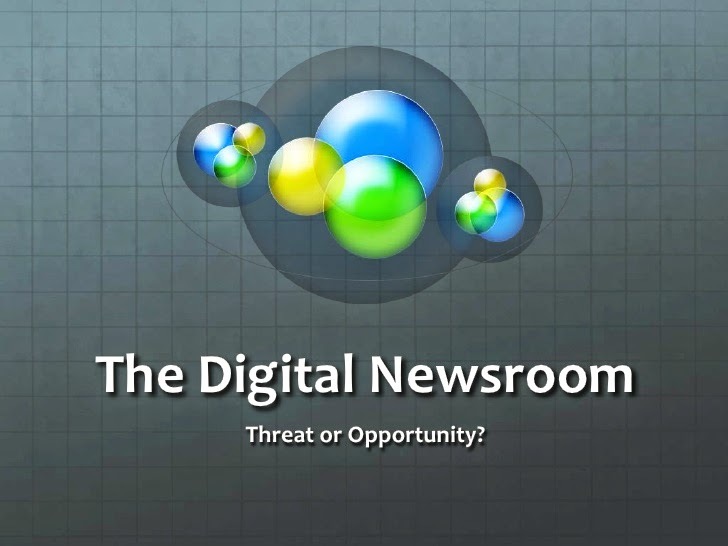 Now The Details: Where's the Journalistic Skepticism About Digital Media? Where's the Journalistic Skepticism About Digital Media? About a year ago, George Packer wrote an important article for the New Yorker about what's happening to journalism. It's called "Telling Stories about the Future of Journalism." In it, Packer interviewed Ezra Klein, a digital wunderkind (he's around 30 now) who was at the Washington Post, where he ran the hugely successful Wonkblog. That blog was, according to some, the most read part of the paper. Klein wanted more money to expand the blog. Management said no. Klein quit that Post to join Vox Media, an online start-up where he now resides as head of news. "Our mission is to create a site that's as good at explaining the world as reporting on it." Klein says Vox will "be in the informing-our-audience business." Vox (the site) describes itself as "...one of the fastest growing online publishers, focused on lifestyle brands that connect with passionate audiences...Vox is solving the problem of developing high-value digital journalism, storytelling and brand advertising at scale (sic)." Many people are admiring the cut of these young Emperors' new clothes. David Carr of the New York Times proclaims that news on the web is thriving, based on "heavy traffic, deep-pocketed investment, new technology, and brand names." And Wall Street agrees. In 2014, Buzz Feed raised $850 million in its IPO. Its aim is to move away from the trivial and into serious journalism. And it's hiring. Vox has more than 50 positions that it wants to fill now. "...once the quality box is checked, the loser will be the 'legacy' news organizations, currently staffed by non-digital journalists...And maybe quality is overrated anyway. Given their fiscal woes, just ask the Post the Times and the Journal." Fast forward to this week's New Yorker. Andrew Marantz in The Annals of Media writes: "The Virologist: How a young entrepreneur built an empire by repackaging memes." Like Packer, Marantz quotes a twenty-seven year old Internet-media entrepreneur Emerson Spartz who "has been successfully launching Web sites for more than half his life." "I'm passionate about virality!" "Try to change every comma to a period." "Use lists whenever possible. Lists just hijack the brain's neural circuitry." "The most awesome you are, the more emotion you create, the more viral it is." Marantz follows Spartz around his various offices in Brooklyn and Los Angeles and then to his home town of La Porte, Indiana all the while dropping McLuhanesque aphorisms like "Art is that which science has not yet explained..."
Both articles indicate a trend that news and digital are increasingly converging into an information-free zone. * Americans don't feel much pressure to keep up with news and public issues anymore. * Only 37 percent think that's very important, down from a majority -- 56 percent -- in 1984. * In fact, a fifth say there's no obligation at all to stay fully informed. * Young people are even less likely to feel the public ought to know what's going on, despite having unprecedented amounts of information at their fingertips. In the 1980s Neil Postman said about Television that we are "amusing ourselves to death." In 2015, Klein and Spartz have assumed the updated roles of digital court jesters. It's interesting but not at all surprising that the decline in the public's need to be well-informed on current news and issues corresponds to decline in voter turnout at elections. Incessant, instantaneous, throwaway infotainment and splintered attention spans seem to have contributed to an atrophy of intellectual curiosity in more and more people.